1. Tell us what you want, what you really really want! 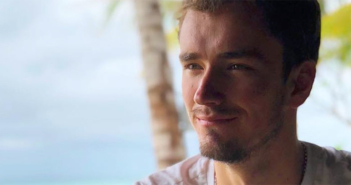 Andy Murray spices up his life for Sports Relief. 2. The force is strong with this one! Genie Bouchard is really pumped about the future, it's female! 3. That face you make when you can't believe how good your March Madness bracket is! 4. Come together! 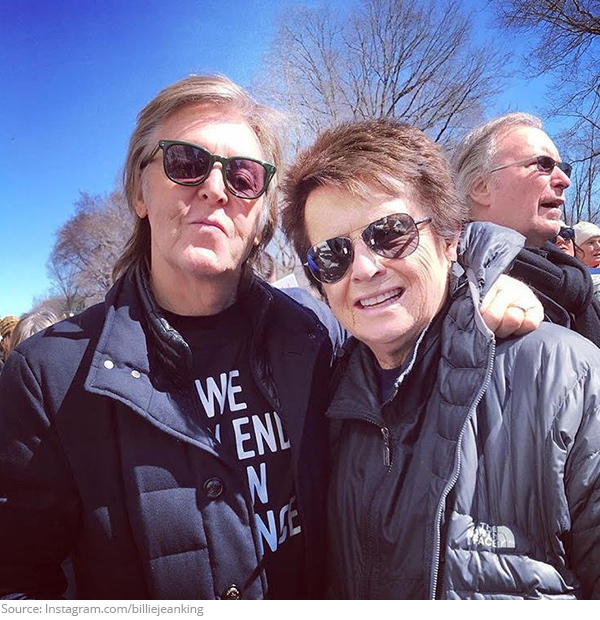 Billie Jean King joined Paul McCartney at the March For Our Lives rally in NY. They marched in honor of John Lenon and everyone affected by gun violence! 5. On the mark! 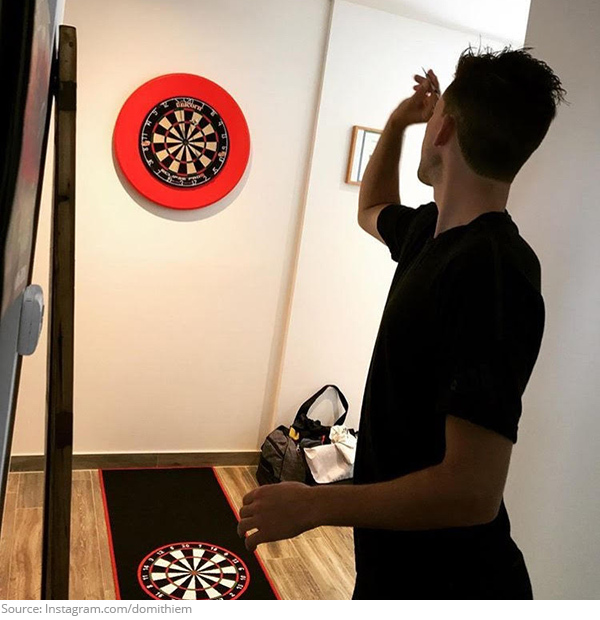 Dominic Thiem is looking sharp while he's recovering from an injury. 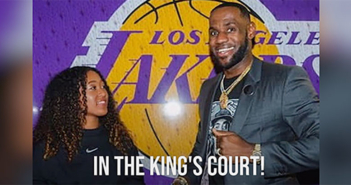 He can't dart out on court yet, but he's keeping busy! 6. Batter up! 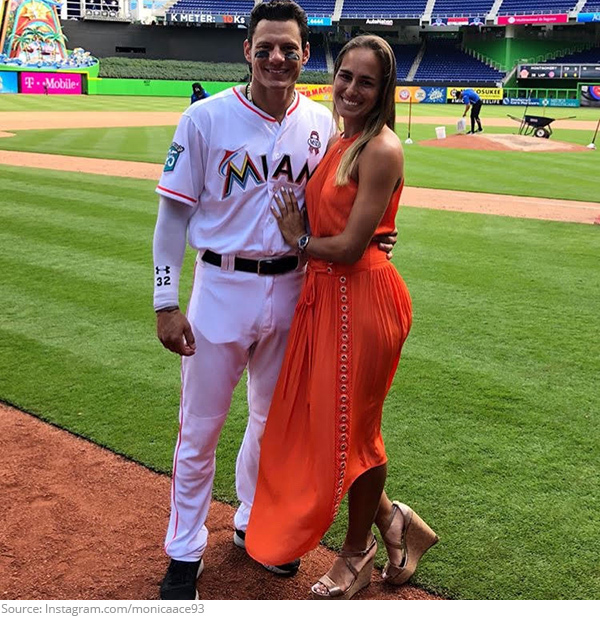 Monica Puig is celebrating a new baseball season with her boyfriend Derek Dietrich. He really hit a home run! 7. Seeing double! 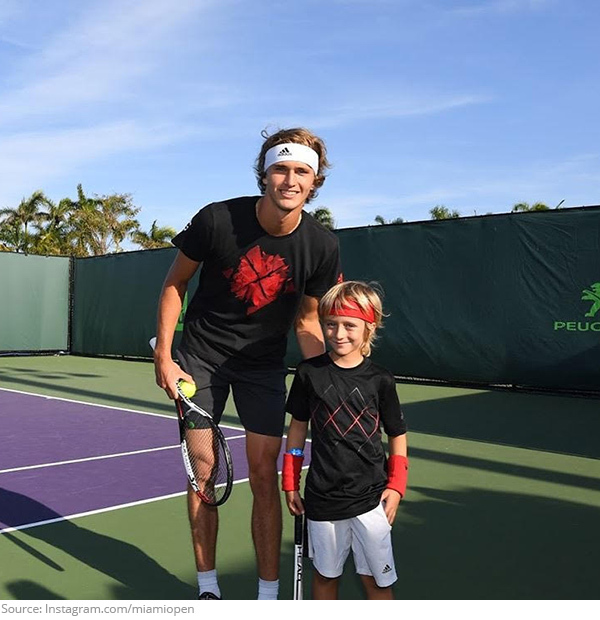 Alexander Zverev met his twin, and it's just like looking into a funhouse mirror! 8. See ya later, Alligator! 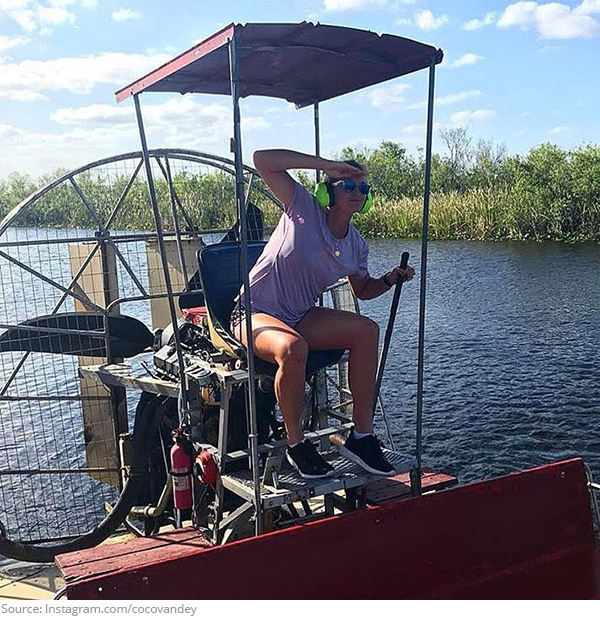 Coco Vandeweghe glides through the Everglades! 9. Out of bed and into the game! 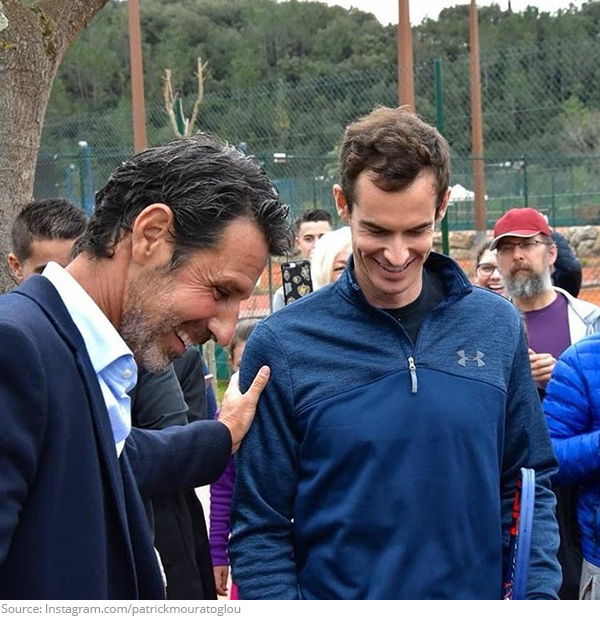 Andy Murray is a big name on court, and now, a court at the Patrick Mouratoglou tennis academy is named after him! 10. 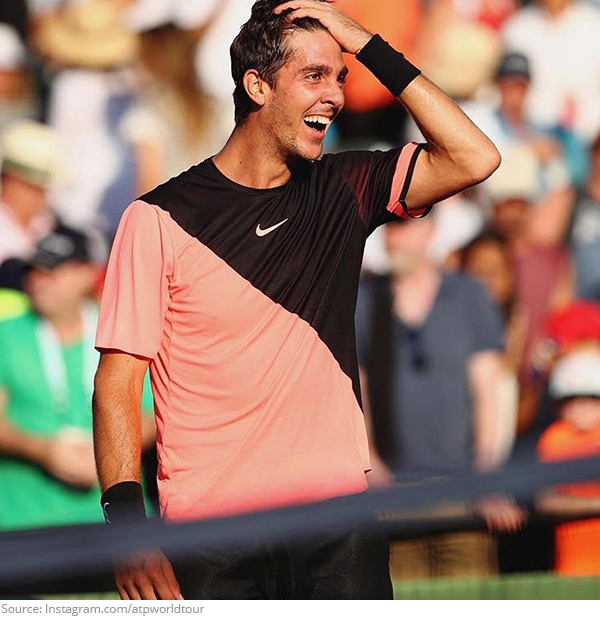 A tennis world's tribute! 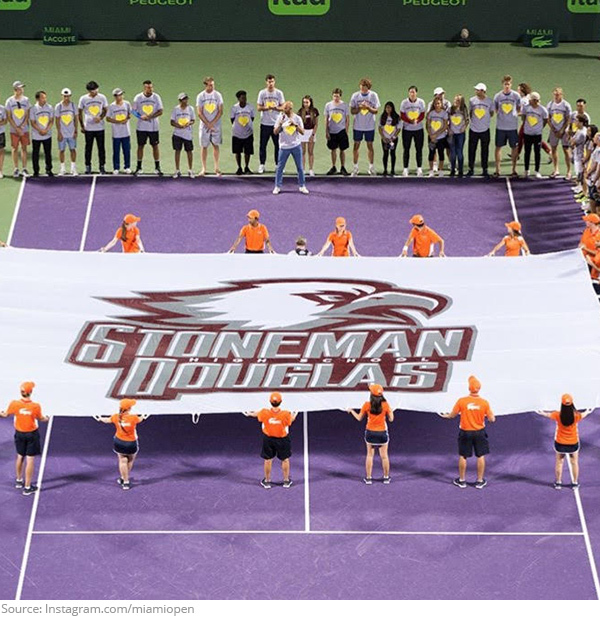 In a touching display, ATP and WTA players stood with members of the Marjory Stoneman Douglas tennis team to honor the Parkland shooting victims. We are all MSD strong!